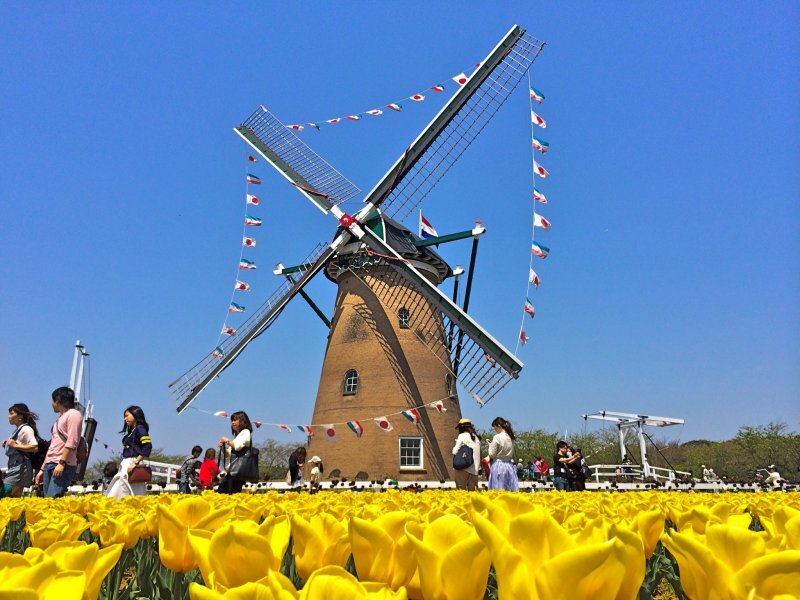 Netherlands windmill, tulips, & more beautiful tulips! 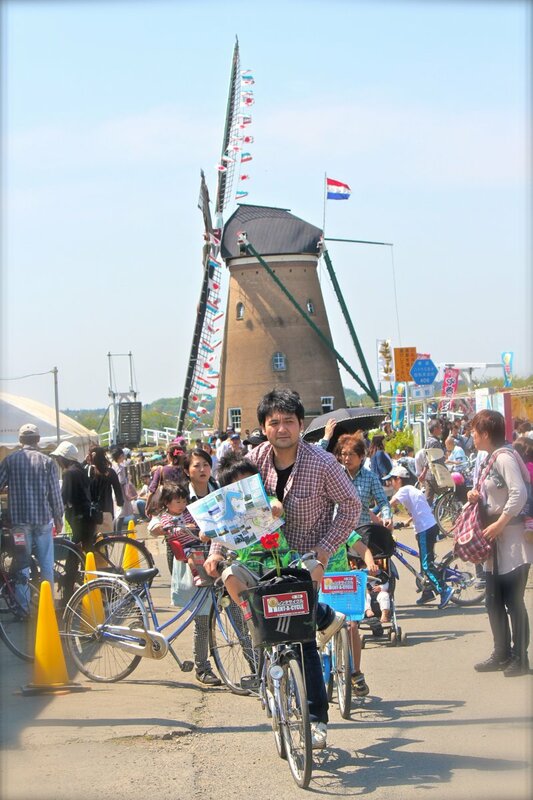 The landmark windmill was made in the Netherlands and assembled here in Sakura City. 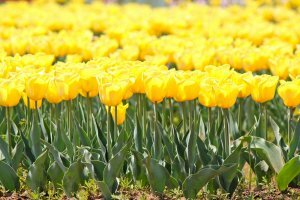 The Sunny Yellow Tulips make for a fantastic frame when photographed. 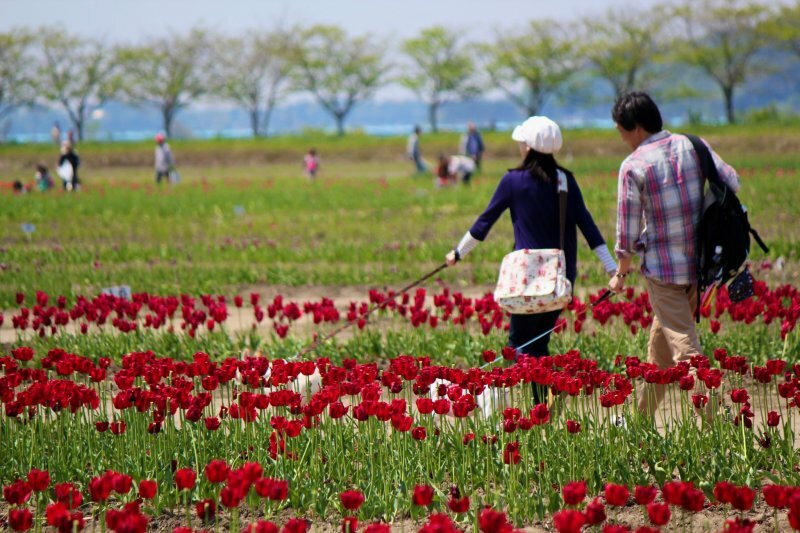 Even though the cherry blossom season may be winding down, springtime in Japan still offers an array of flowers to admire in these warmer temperatures. 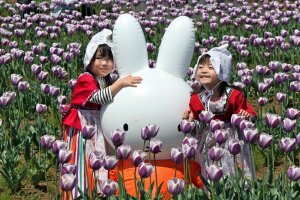 In Chiba prefecture, Sakura City Municipal Organization Enforcement hosts the annual Sakura Tulip Festa in the month of April. 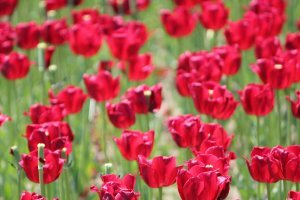 A field of endless red, yellow and blush colored tulips against a Netherlands windmill backdrop make for a wonderful day with family and friends under the sun. 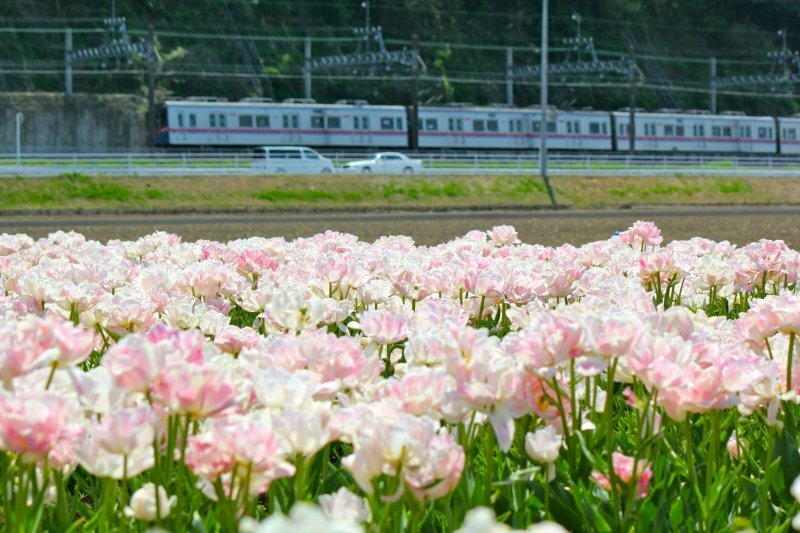 From Keisei-Sakura Station, take the North Exit to locate the city bus. 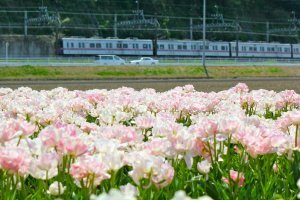 For just 100yen each way, in ten minutes travel time you will spot the windmill and arrive at Sakura Oldness & Open Space. 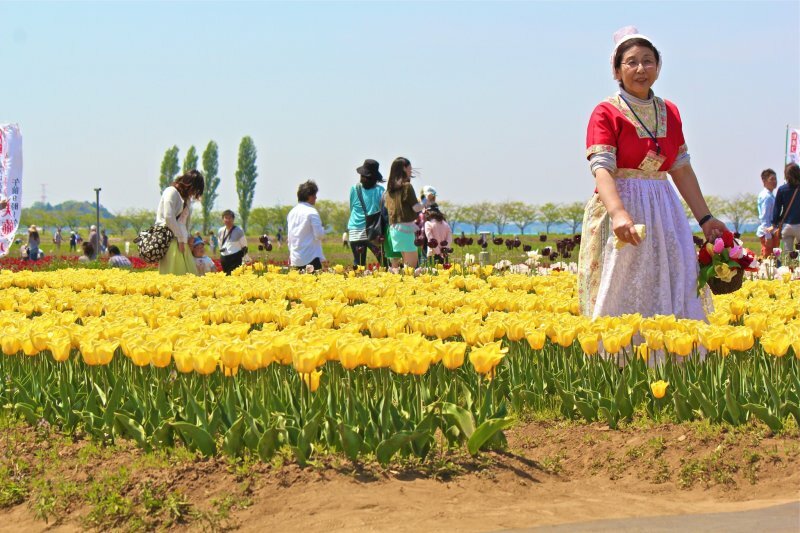 Lake Inba runs parallel to the tulip farm and is the source for the developed lush marsh. For 1,000yen (Adults) and 500yen (Child), you can go sightseeing on the pleasure boat adorned with Japanese lanterns. 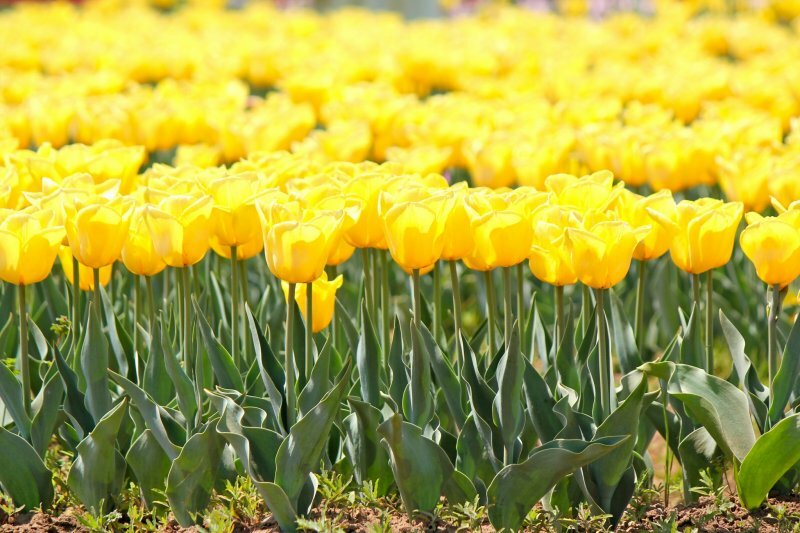 The most prevalent flower on the farm was the Sunny Yellow Tulip, a sure sign of Spring! 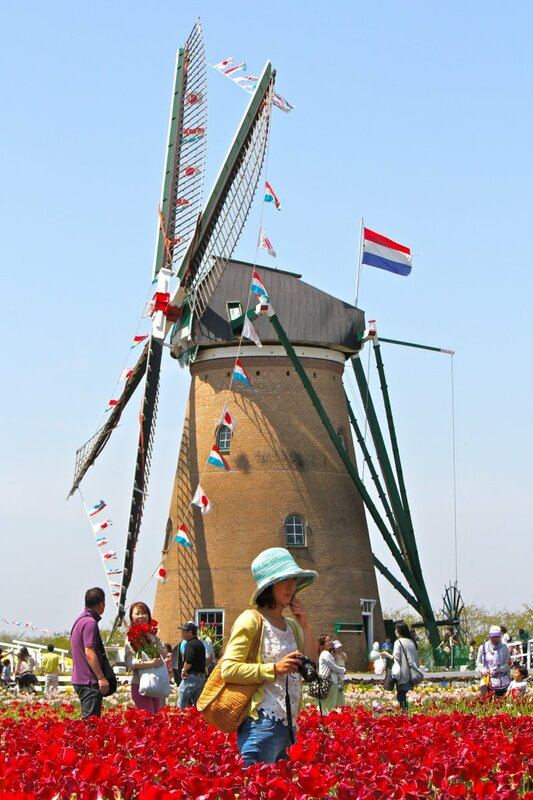 It was the perfect frame for all photographers, especially when visitors took advantage of wearing the traditional “Dutch Maid” Netherland costumes: pointed lace caps, striped aprons and wooden clogs. 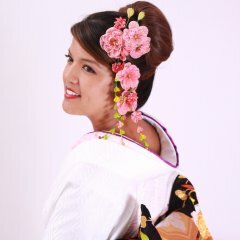 Just around the corner from the souvenir shop, you will find a portable dressing room full of colorful aprons and a staff member available to assist with the costumes. 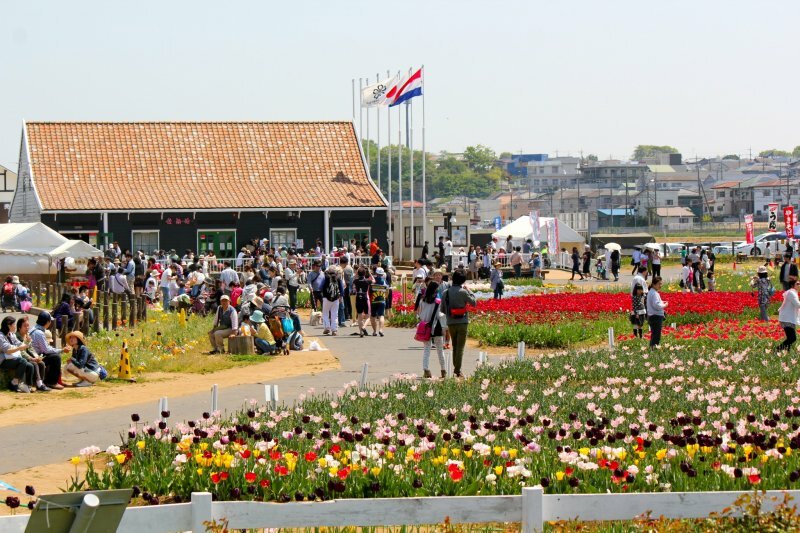 You can walk the tulip fields, fully clad, for 45 minutes and 1,000yen. 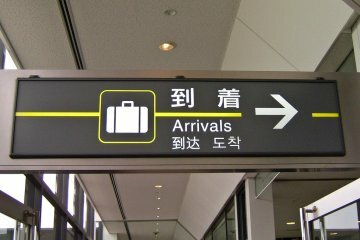 So, why not give it a try! Made in the Netherlands and assembled in Sakura, the windmill “De Liefde” was built in 1994 and serves as a landmark for Sakura Furusato Square and as a symbol of goodwill between Japan and the Netherlands. 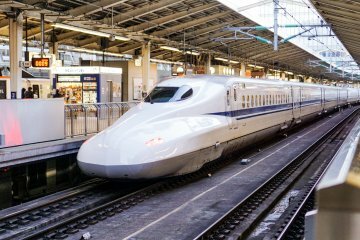 It is the first wind-driven water pump in Japan. The tower is 15.6 meters high and is made of brick and four levels of reinforced concrete. To draw water, the horizontal shaft is powered by energy from the wind; once rotated, the water wheel on the ground floor rotates. You can explore inside and upstairs into the windmill as long as you take off your shoes. Feeling hungry? 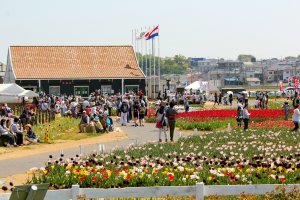 There are many pop-up booths along the walking path serving yakisoba, okonomiyaki, takoyaki, snow cones, and tapioca drinks to name a few. Tables and benches are placed throughout the farm, or you can be adventurous and have a picnic along the river. 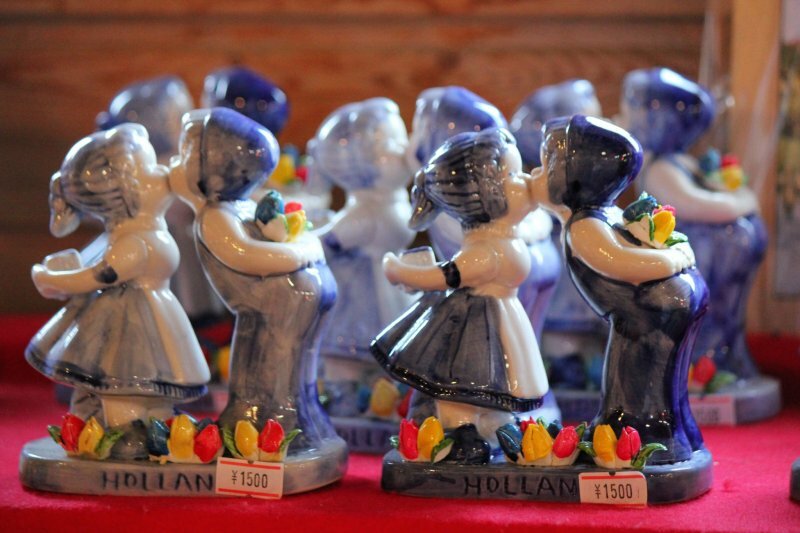 When you’re finished with your meal, visit the mini market for local vegetables, snacks, drinks and Dutch themed souvenirs for a reasonable price. If weather permits, rent a bike for the day at the farm. For just 500yen, feel the sun kiss your cheeks and the wind in your hair while riding the mamachari along Lake Inba. 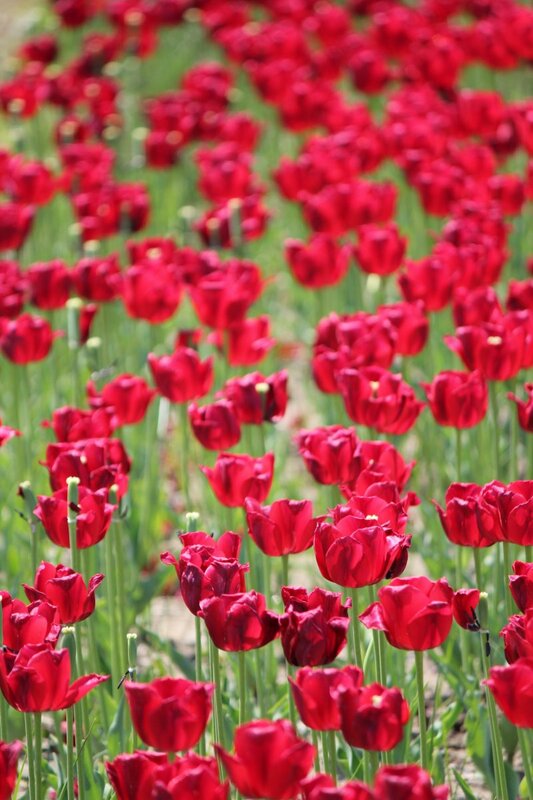 Can the springtime get any better than this? 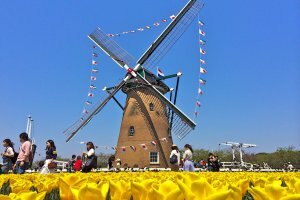 It's Netherlands feel in Japan! 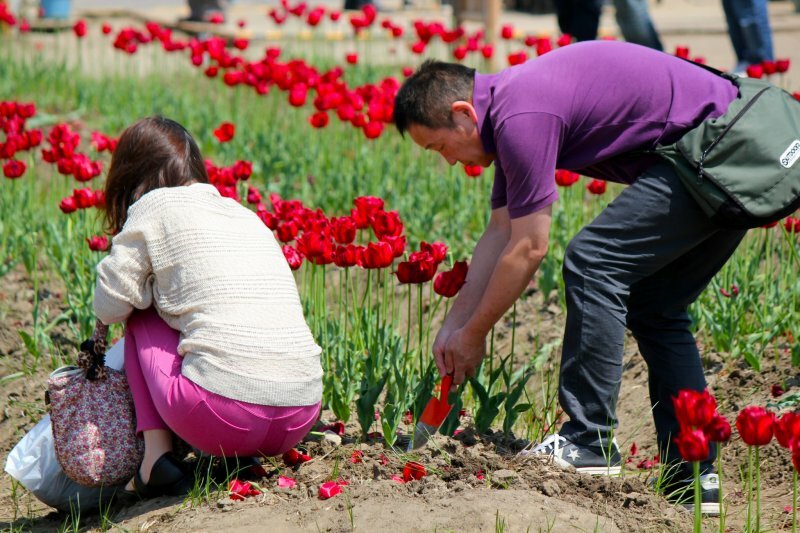 and 1000 Yen for as much Tulip I can shovel and bringing it home. What a interesting offer! 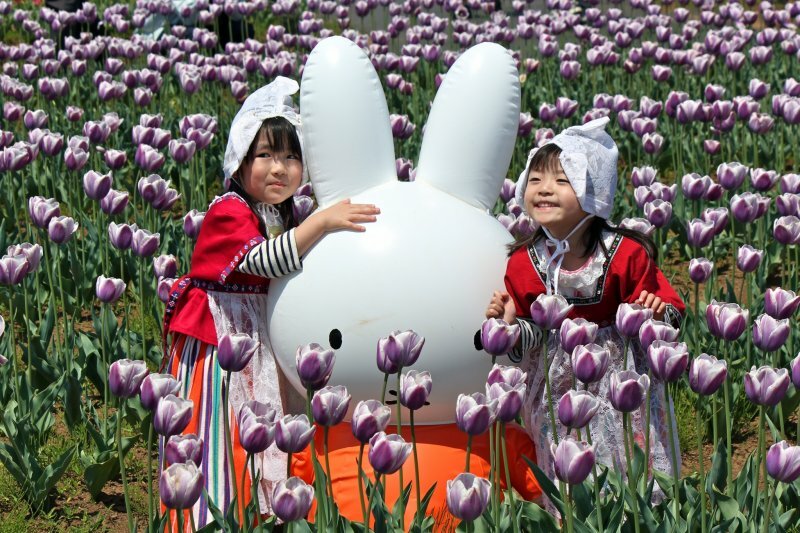 This year the Sakura Tulip Festa celebrates 27 years and will be held from April 4 - 26th, 2015 from 9:00 to 4:00pm.